As responsible firearms owners, we always want to secure our guns from unauthorized use but be able to deploy them quickly if needed. An efficient method for doing that is Identilock, a biometric fingerprint recognition device that secures the trigger area of a defensive firearm. Let’s take a closer look at how the Identilock trigger lock works. 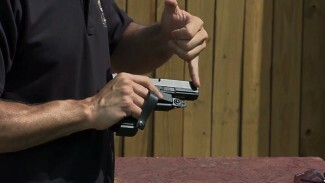 Identilock is available for several different types of handguns, including some of the most popular defensive handguns (this video shows Identilock in use with a Smith & Wesson M&P). The Identilock is specific to each model of handgun, so make sure you get the correct one for your gun. The Identilock trigger lock secures itself over the trigger guard. To use the firearm, pick it up and place your index finger against the biometric reader. Almost instantly you’ll see a green signal from the biometric reader, the Identilock drops off, and you can use the firearm. Grabbing the gun on the run? The biometric reader will read your fingerprint in any orientation. There is no need to worry about placing the finger in exactly one specific way on the reader in order for the reader to check the fingerprint and the Identilock to drop off. The Identilock trigger lock is ideal for traveling, when you can’t bring a gun safe with you. 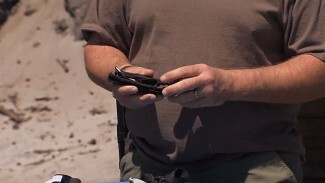 Also for people who insist on off-body carry, for example in a purse or backpack, a gun equipped with Identilock means the gun can’t be accidentally or intentionally grabbed by an unauthorized person and fired. It’s a valuable piece of self-defense gear. Can biometric devices be trusted? This technology has come a long way in the last ten years and is much more reliable now than it was in the past. You can program multiple fingers to be identified, as well as the fingers of multiple people. It’s rechargeable via a USB cable. It also has a key backup so you can open it mechanically if you don’t trust the modern technology. 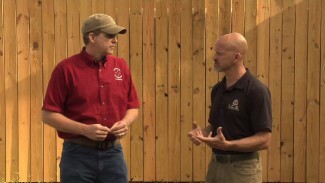 If you need a quick-access security device for a staged defensive handgun — and everybody does as part of their home and personal security — look into Identilock. Dam thing is as big as the gun. NO WAY!!! I work with concrete block and concrete tile and more often than not, most of my finger prints are worn off. How will this device work for me in those situations? Hi Douglas. If you don’t have enough of a fingerprint for the reader to store and recognize you would need to keep the key close by or utilize another solution. 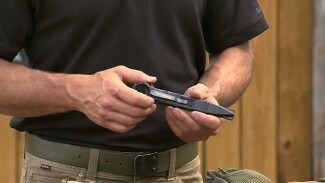 Relying on a key could cause problems when and if you needed the firearm quickly so you would most likely be better off with a 4 (or more) button combination keypad (here is an example: http://www.libertysafe.com/handgun-vault-hd-100-quick-vault-ps-36-pg-124.html). If the lock had a tang on the bottom to also secure the magazine, it might be a good solution for school faculties. Finger print devices are moisture sensitive. If your finger tip is wet from water or sweat, it presents a different pattern. Try it…Wet your finger and try to unlock your cell phone using finger print access…It doesn’t work.